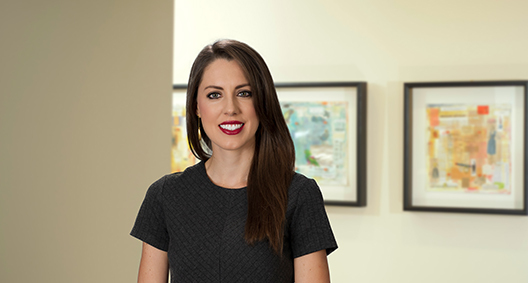 Alexandra Royal is a member of the firm’s data privacy and protection practice group based in Atlanta, where she focuses her practice on advising clients on data privacy and data security issues in business transformations, compliance activities and incident response/regulatory inquiries. Alexandra also counsel clients on how to design and implement information governance and privacy compliance programs that comply with the California Consumer Privacy Act (CCPA), and other U.S. state and federal privacy laws that require greater transparency and consumer choice. Provided comprehensive legal advice to company officers, directors and management level personnel on data privacy, cybersecurity matters and various healthcare regulations. Oversaw the legal evaluation of data incidents and guided incident response and resolution consistent with applicable law and sound business practices. Provided privacy-related legal advice concerning business transactions, recommended post-integration action steps, and drafted related contracts and documents. Collaborated with company stakeholders to support the analysis, preparation, drafting and negotiation of pertinent aspects of privacy-related provisions within vendor and other third-party agreements. Developed privacy-related legal standards for company-wide policies, and drafted and implemented a global privacy and data protection program covering all aspects of HIPAA and related guidance.